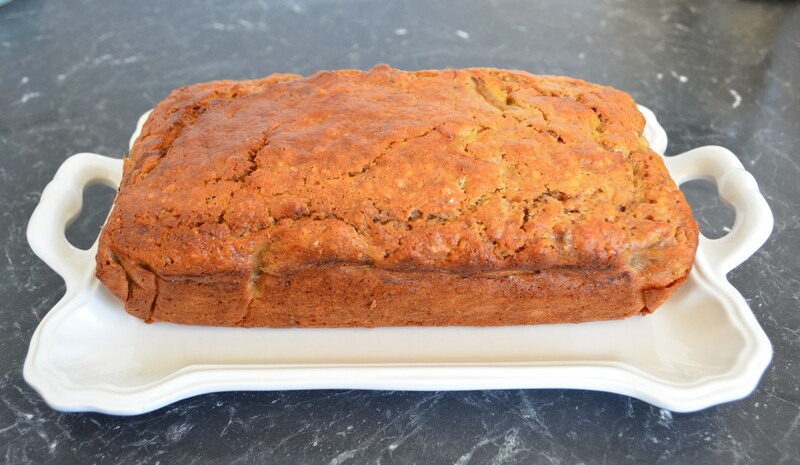 My kids love banana bread, and I have tried quite a few recipes trying to find ones I like. This one although not my absolute favourite banana bread (my favourite is on the website also titled Banana Bread which has rum and cognac in it) this is really good. I posted this one as I find it really easy to make, it is made with items I find in my pantry (and obviously old bananas) and I don't need to wait for butter to soften. Also this banana bread feels healthier than others I have tried. Now I am no nutritionist, but it doesn't have a lot of butter, uses skim milk and it has a lot less sugar than other recipes I have tried, so to me it seems healthier. Now as for the bananas, I made this twice yesterday and both times I used bananas I had in the freezer. They were over ripe when I put them in there, they get all mushy when frozen, but for this recipe, it works perfectly. So if you have bananas that are not edible anymore, freeze them and use them for this recipe, no waste and your kids will love you. Whether healthier or not, if I have posted it, I must like it, and so do the rest of my family. Grease and line with baking paper a 11cm x 21cm loaf pan. Allow the baking paper to overhang on 2 opposite sides. Melt the butter in a small saucepan, remove from heat and allow to cool in the saucepan while you get the other ingredients ready. In a large mixing bowl add the bananas. Mash up with a fork. To the bananas add the flours, cinnamon, brown sugar, skim milk, eggs and the butter. Mix with a fork until just combined. Pour the mixture into your prepared pan, smooth out the surface. Bake for 50-60 minutes or until a skewer inserted into the centre comes out clean. Also when you press on it, it will feel cooked. Remove from the oven, allow to cool for 5 minutes in the pan. 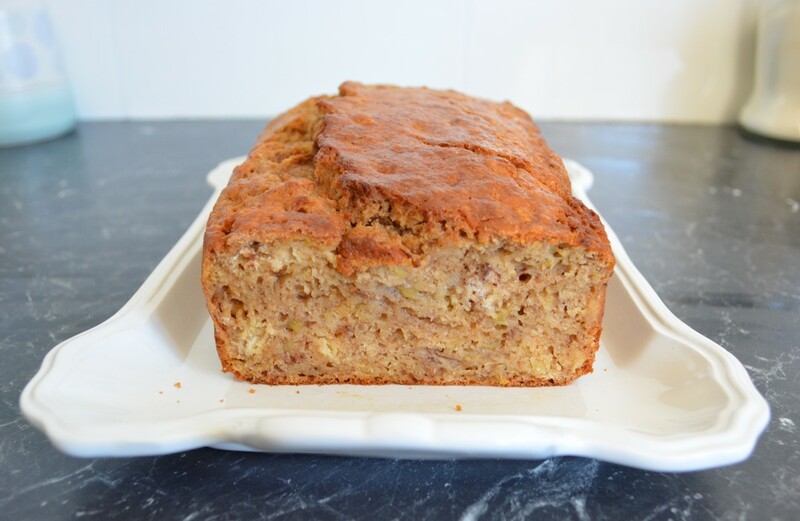 Using the two overhanging sides, pull the banana bread out of the tin and place on a cooling rack to cool completely.